The course will enable you to pass the RTA driving test. Once you pass the test, you will be able to Operate Heavy Forklifts/Shovels. 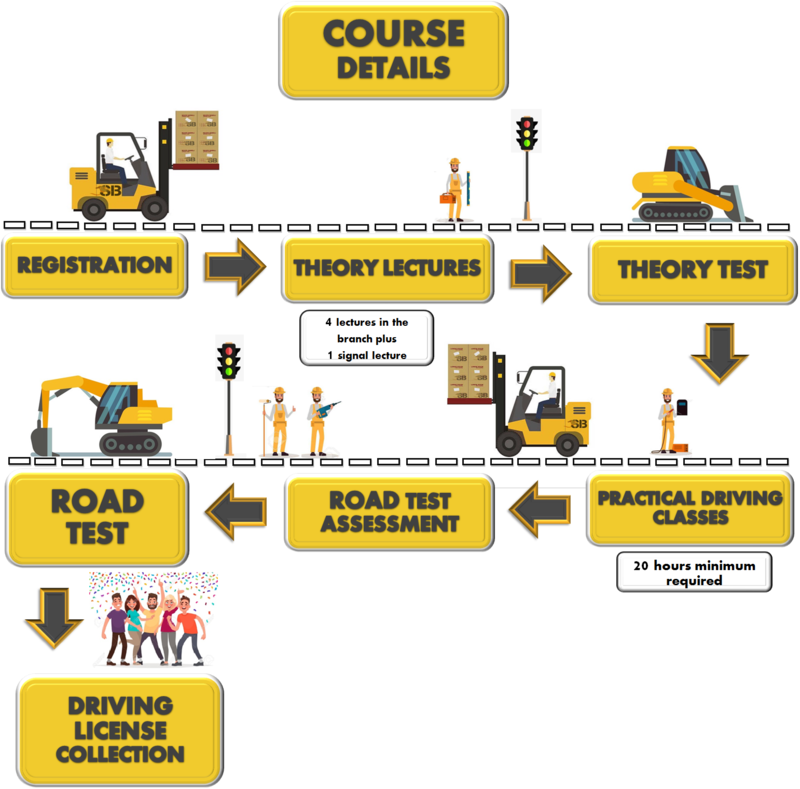 We have also included all the technical and mechanical knowhow in our forklift operating course. Separate and detailed lessons are provided on the engine and loading capacity of the forklift, use of different types of levers and their control, operation of the forklift in different working areas and extreme weather conditions, etc. After passing the course, you will be able to increase the efficiency of the forklift, reduce the maintenance expenditures of the Machine, significantly reduce the number of accidents that may occur and improve your Forklift operating skills. 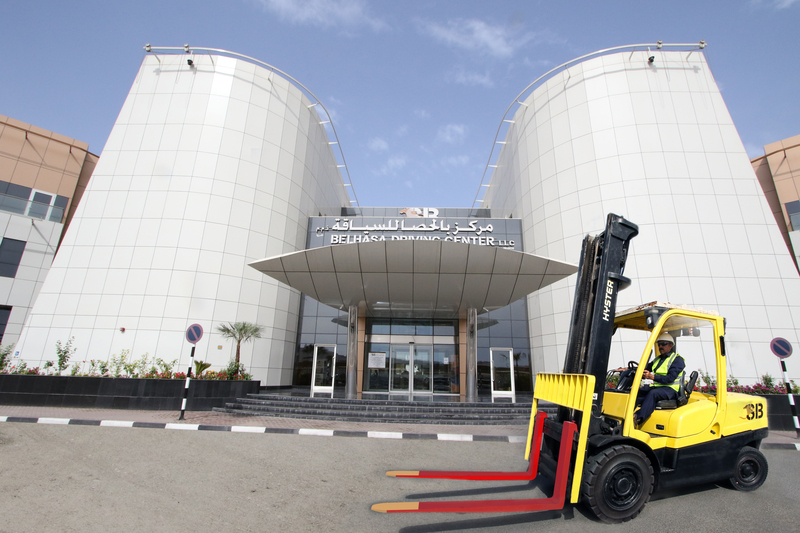 We also provide specific lectures and training sessions on the loading aspects of forklifts. You will learn about the right angle of load adjustment, usage of the loading bucket with levers at different levels of bucket operation and other minute aspects of the load bucket operation. You must have good vision so that you can pass the eye test at Belhasa Driving Center. If you have a traffic fine, then you must clear the fine so that your traffic file can be opened. We offer a one-to-one instructor student ratio for learning the course. You can learn the course in any language you want. 1.) 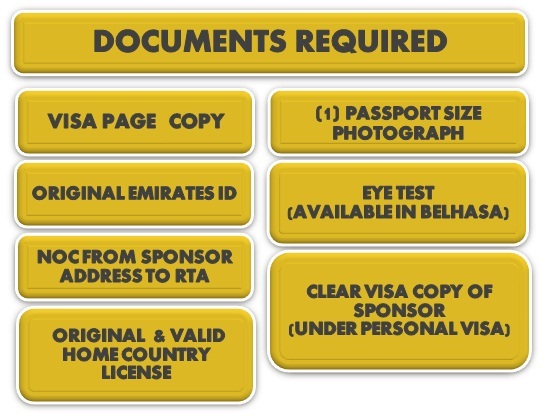 IF THE CANDIDATE HAS AN EXISTING DUBAI LICENSE AND HE WANTS TO ADD ANOTHER CATEGORY, THE LIC. FEE IS 430 AED. 2.) IF FAILED YARD TEST, STUDENT WILL HAVE 2 HOURS MANDATORY DRIVING CLASSES BEFORE BOOKING ANOTHER YARD TEST. 3.) IF FAILED ROAD TEST, STUDENT WILL HAVE TO 4 HOURS MANDATORY DRIVING CLASSES BEFORE BOOKING ANOTHER ROAD TEST.